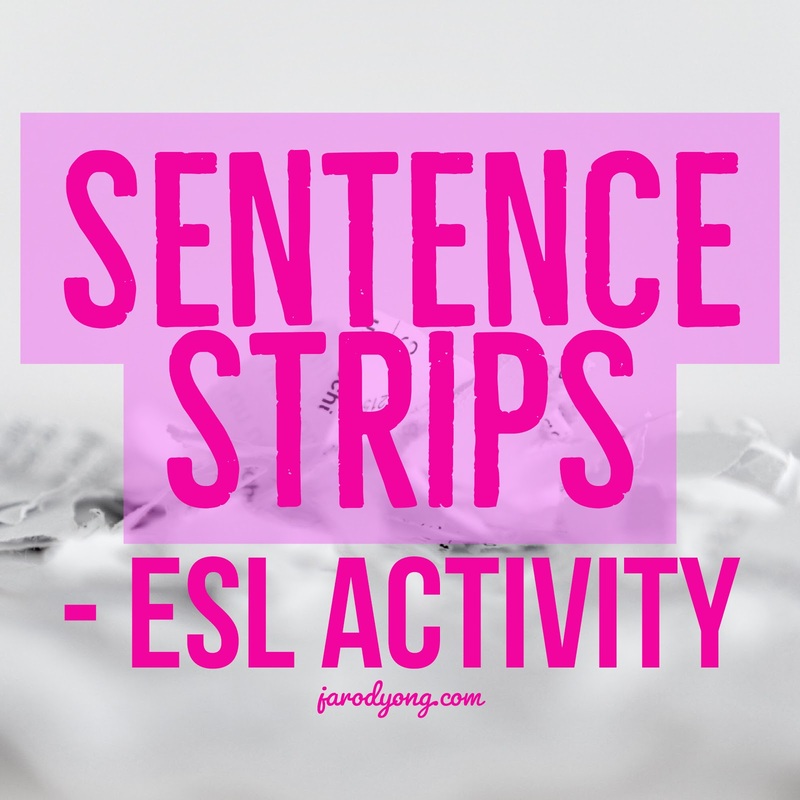 How do you segue from reading & discussion into grammar with an activity that's engaging and cooperative? How can you squeeze more teaching out of a reading passage that you spent so much time sourcing & painstakingly adapting? This week's Low Prep post-reading activity was created to assess/develop my students' understanding of English sentence structure & give them an opportunity to communicate while figuring out a puzzle with a partner! If you've tried this, let me know how your lesson went in the comments! If you have access to a paper cutter, cut A4 papers along the long edge into enough lengthy horizontal strips for every student. Have ss cut out each individual word (pic below). First, ss jumble up their sentences & attempt to rearrange that sentence. After that, remind them to remember the correct order of their sentences. Have ss find a partner & attempt to rearrange the jumbled up sentence of their partner. Remind ss not to give their partners the answer until they have made 3 unsuccessful attempts. Also, ss should give their partner a high five if they get it right. A worksheet with more jumbled up sentences from the passage. A grammar lesson focused on a grammatical feature from the passage.